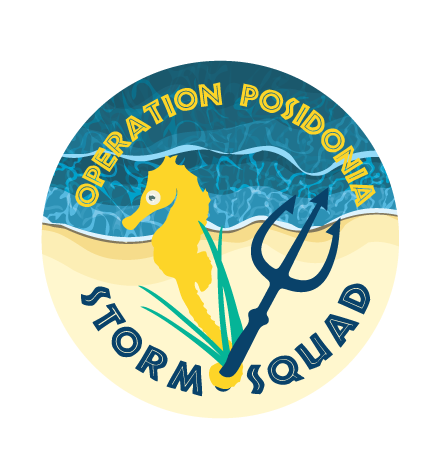 Operation Posidonia has come up with an exciting solution to this problem, but it relies on getting help from local communities. The idea here is that donor seagrass shoots used in the restoration are collected by local 'citizen scientists' following large storms, which regularly result in detached seagrass fragments being washed-up along beaches. The aim is to enlist the help of dog walkers and local beach-goers, who will be trained in distinguishing Posidonia from other seagrasses and join a local ‘seagrass storm squad’. Detached seagrass shoots that are washed up after big storms would otherwise perish out of the water, so by collecting them and replanting them citizen scientists will be helping to restore seagrass populations without damaging existing Posidonia meadows. The inaugural OPERATION POSIDONIA restoration project is now underway for Port Stephens in central NSW. Scientists have selected this location because it represents one of the healthiest estuaries in NSW, where Posidonia is not as threatened as in other regions. The idea is to develop a proof-of-concept of how restoration can work in a relatively healthy estuary, and when the right methods are developed these will be applied to revegetate Posidonia meadows in other estuaries where there the species is endangered and there’s a risk it may become locally extinct.